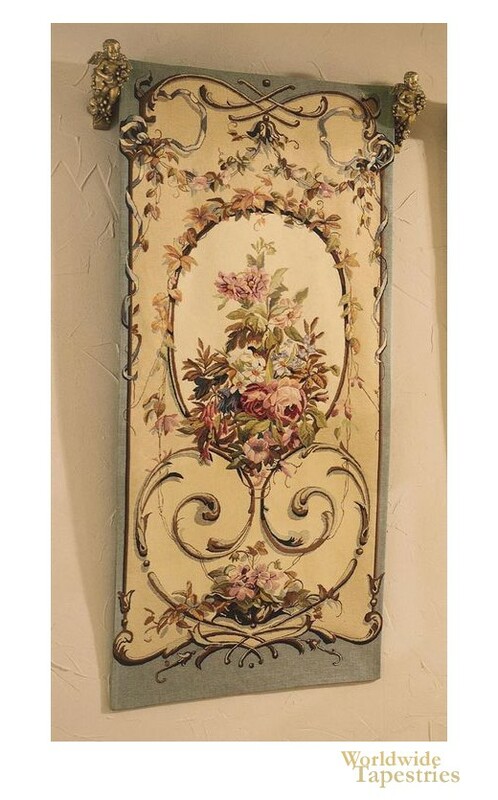 This elegant Belgian tapestry "Lauren Pewter" shows a floral decorative portiere style design. Leaf motifs decorate the piece throughout, with a central emblem of flowers. Garlands of delicate flowers surround the central medallion. This elegant tapestry "Lauren Pewter" is backed with a lining and has a tunnel for easy hanging. Note: tapestry accessories, where pictured, are not included in the price.